As the gravity of Climate Change becomes globally implicit, governments must respond with realistic efforts to reduce their dependency on unsustainable practises. In the Global South, the regions which are forecast to be hit the hardest, such responses are crucial to the security of access to clean water, food and agriculture. Much of this recent momentum has granted Climate Change a greater amount of transparency, but it is not yet being matched by an appropriate level of accountability. The introduction of Islamic Green Bonds (or Green Sukuks) into the financial sector helps bolster clean energy projects with the funding they pressingly need to reach sustainability targets in a more timely manner. Climate Change endeavours such as solar banks, biogas plants and wind energy, are financially invested in, all while upholding ethical standards. Green Sukuks adhere to Shari’ah laws, in other words collect no interest, and essentially raise funds for applicable Green sectors through interested investors. What became a successful launch in Malaysia in 2017 and accumulated over $60 million in funds is now practised in Indonesia, UAE and Saudi Arabia. Looking forward, Europe is seen as the next frontier to broaden these Green Bonds. On top of the immediate benefits they provide, they also raise awareness among investors and the financial community. They become evidence that Green Bonds are effective tools for the finance of global sustainability initiatives. We intend to take Green project initiatives two steps further- by working from the ground up with rural women, and by providing them with knowledge and tools that put sustainable responsibility in their hands through profitable livelihood practises. These projects are proven as scalable, and address several of the United Nations Sustainable Development Goals. By acting locally and thinking globally, our mission is to build prosperity in selected villages, enabling them to protect themselves against the oncoming effects of Climate Change. This model can be reproduced in each country we support based on their individual needs, resources and traditions. We envision a future where empowered women of omitted societies have the freedom to manage livelihoods that act in greater balance with the surrounding environment while remaining lucrative. 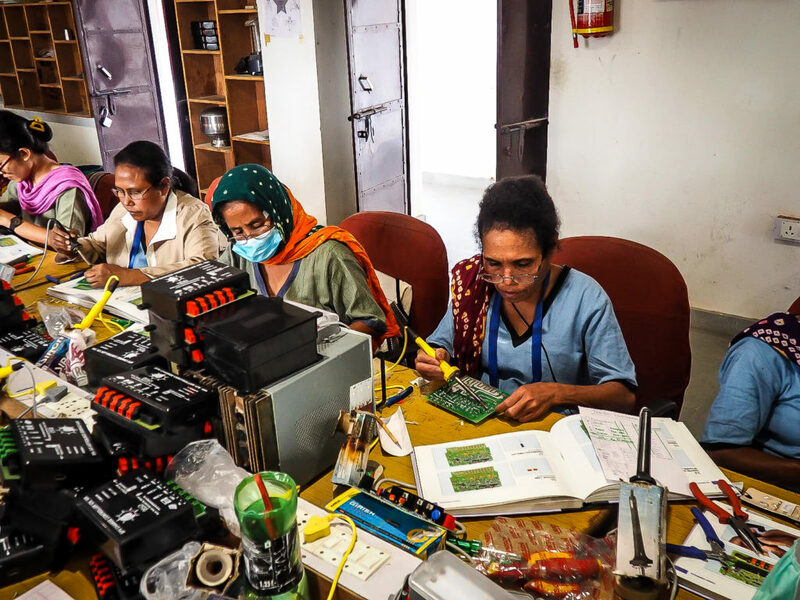 It is through such efforts that the Global South can reduce their carbon footprints while simultaneously increasing their GDP (and overall, their quality of life) by including women in the labour force. Our recent partnership with the Islamic Development Bank (IDB) can supply us with an entry into regions that would benefit most by the positive change that we hope to implement. 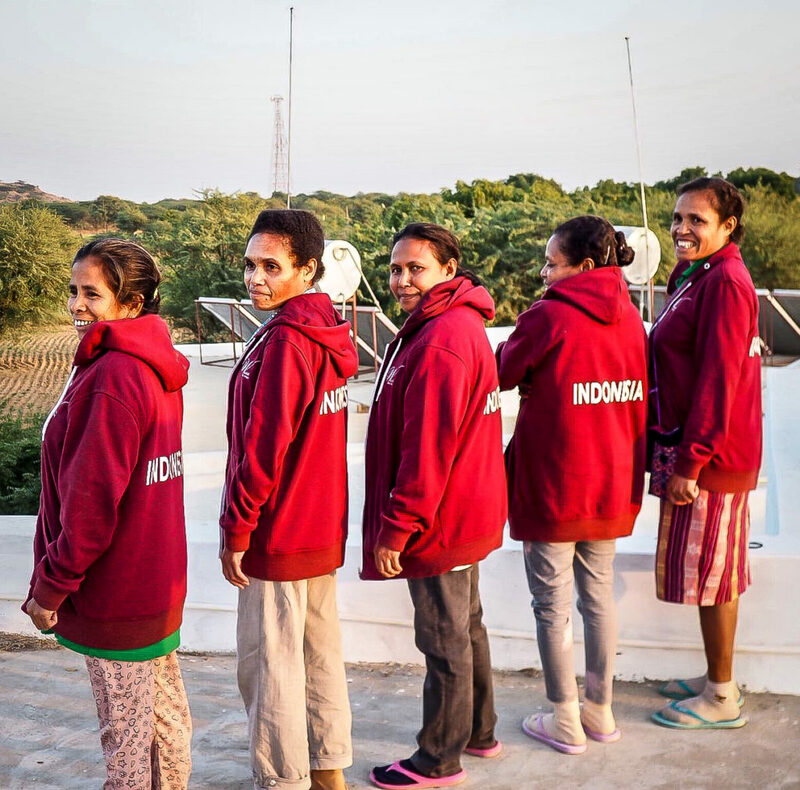 Through this unique 18-month initiative, we are able to train 40 illiterate and semi-literate, under-privileged women from 9 countries in Solar Engineering. 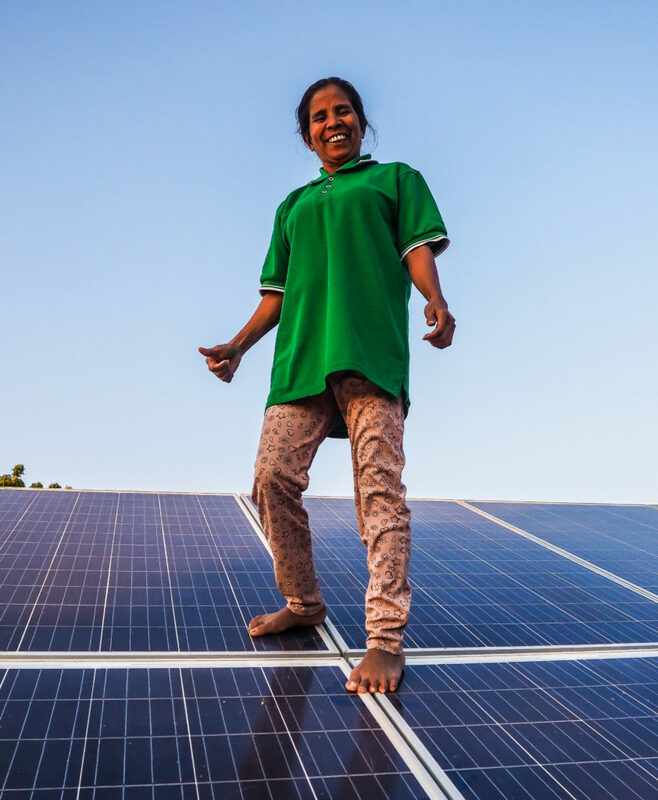 These women are in turn projected to electrify around 2000 homes in just a few years. 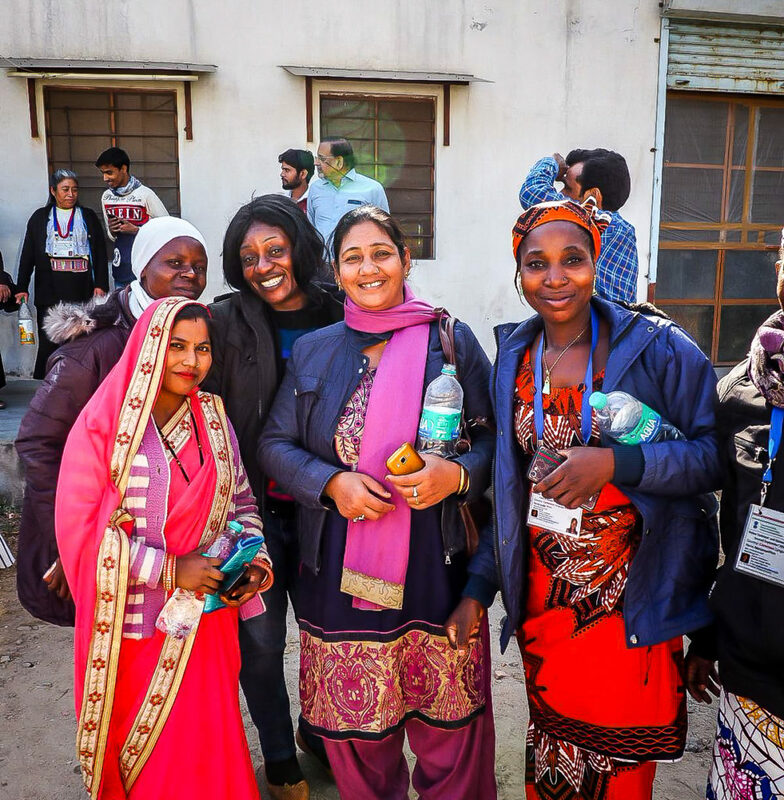 The Solar Engineering program was piloted at our original campus in Rajasthan, India in the early 1990s, and has since expanded to involve marginalized women from 96 countries. During their 6-month training program, they are educated in additional subjects including leadership skills, feminine hygiene, entrepreneurial proficiency and digital competency. The success of the program has garnered international attention and continued partnerships with the countries involved. 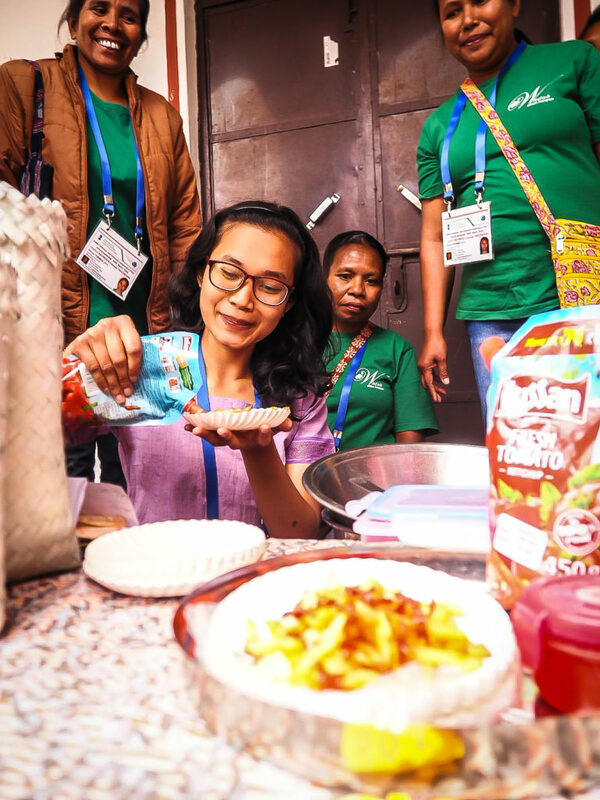 In addition, by establishing secondary livelihood programs with the communities we are already engaged with in cooperation with the IDB, local inclusivity and productivity can further increase. Ground partners select which programs suit the needs of the women based on resources that are available to them, and what has traditionally been practised. For example, honey produced in Syria is a highly coveted product. It has a unique composition due to its proximity to certain endemic plant species, making it a valuable good. Disastrously, its production has been under threat since 2012 as tensions rose between split communities. These divisions stemmed from an increasing level of disparity between families, often due to geographic location (i.e higher vs. lower). A future objective would be to reestablish beekeeping businesses in Syria. This can begin after alleviating local tensions within split communities by the installation of solar electricity for both sides, and auxiliary projects that encourage inclusivity and improved communication practises. Of the 9 countries we are beginning work with in our partnership with the IDB, most are facing increasingly severe issues of violence, disempowerment and minimal support to defend themselves against Climate Change. The support we aim to provide these women could lead to increasing mutual respect in conflicted regions and equity amongst communities previously set against one another. The uprising taking place in Cameroon due to discord between the English minorities and French majorities has resulted in some areas becoming extremely unsafe. 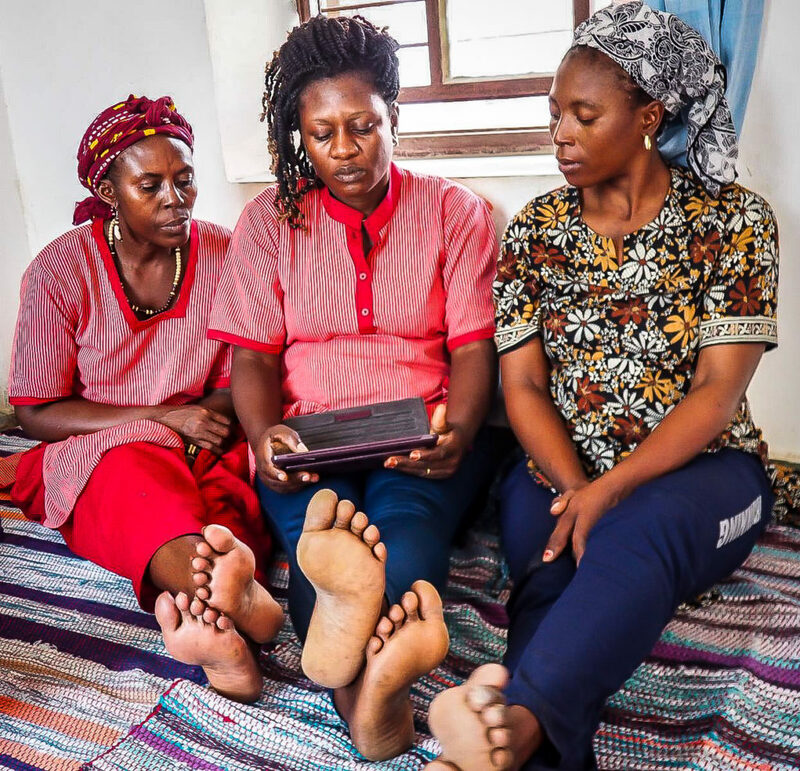 The 4 women from Cameroon that have nearly completed their training are expected to return home to install solar electrification in their last-mile villages. We are confident that their contributions on this and other sustainability aspects that they have acquired during their training will increase prosperity and mutual respect in their villages, thus reducing the amount of violence. Our capacity, though currently modest, is projected to multiply. Requested already are 12 more women from 4 additional villages to be trained. At Barefoot College, we recognize that it is through implementing sustainability infrastructure projects by and for women, in the poorest and most threatened countries, that we can foster their protection against the predicted upheavals of Climate Change. By giving communities autonomy for their own regions and landscapes, responsible environmental stewardship is better ensured for years to come. That is why we work tirelessly to secure lasting bonds with international partners who understand the importance of funding such projects.